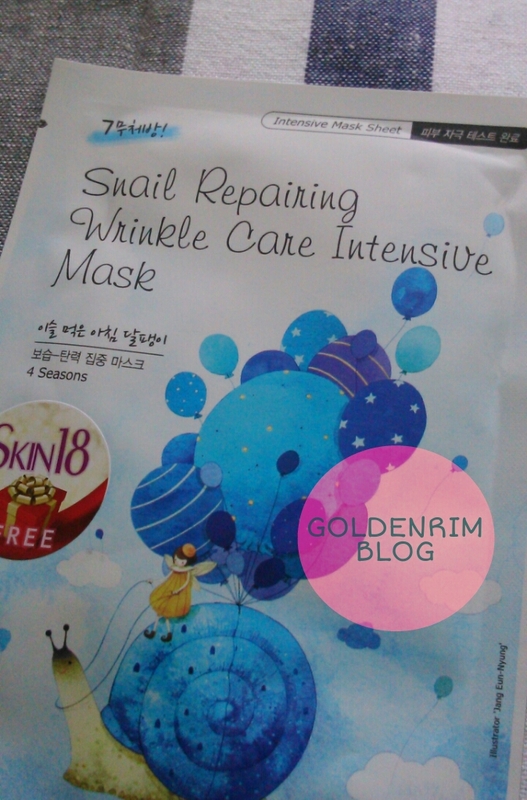 I used the Four Seasons Snail Repairing Wrinkle Care Intensive Mask for wrinkle treatment. But I don't have any wrinkles so I didn't expect much from this product. Read on know if it is effective on wrinkles or not?! 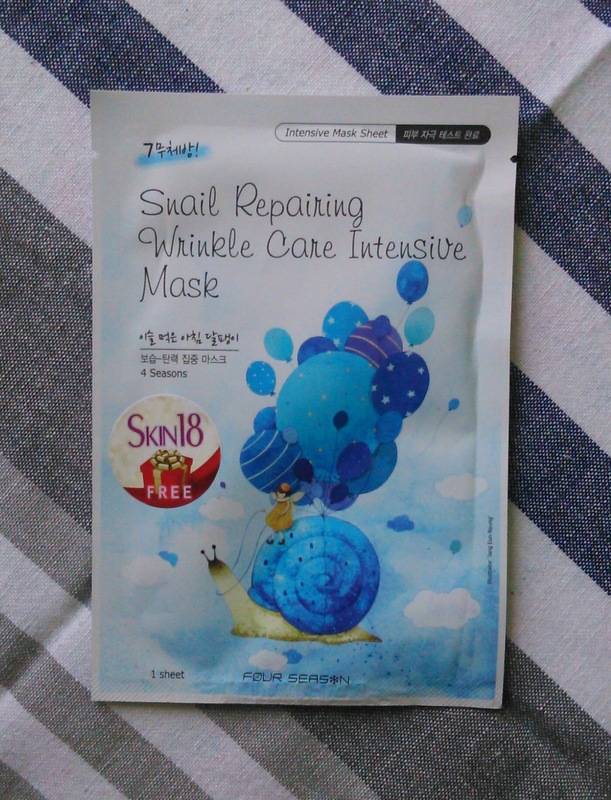 This anti wrinkle functional sheet mask contains snail secretion filtrate that regenerates healthy skin appearance while giving elasticity to skin and supplying moisture and nutrition. Apply mask over cleansed and toned faced. Keep for about 15- 30 minutes. Do not rinse, massage remaining essence onto skin. 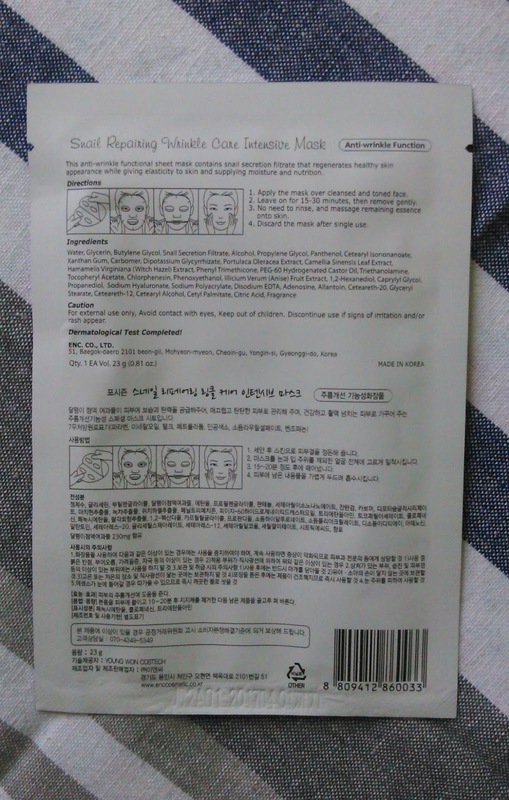 Discard mask after single use. I don't have wrinkles so I didnt expect much from this mask. I tried it to see if there is any stretching effect of the mask or not. The fragrance of the mask is very less so cannot really say like what the fragrance is and sheet has ample of essence. The mask fit quite well with a few folds. I readied my skin after cleansing and toning. I applied the mask for about 25 minutes and removed it carefully. After applying the mask I had a little itching sensation as if my skin was being a little stretched. The essence was a watery and opaque in nature. There was sufficient essence left in the package also. After applying also all the essence from the mask was dripping from chin area. To avoid the dripping I had to lay down after putting the mask. After removing the mask I dabbed the remaining essence onto my skin. I could feel a tingling sensation as the essence was getting absorbed. Skin felt smooth, hydrated after the essence had dried up. No sticky residue was left after the essence dried up. The fragrance faded away as soon as I put the mask as the essence has nil fragrance. Contains snail extract for anti wrinkle effect. Availability - Available on Skin18.com. Price $0.85 on Skin18.com website. The essence is very watery being opaque in nature and gets absorbed in the skin easily. Doesn't leave sticky residue behind instead stretches the skin for anti wrinkle effect. It intensely hydrates dry skin. Gives a smooth and soft feeling to the skin. I would recommend this mask for anti wrinkle effect as it works on wrinkles by giving a subtle stretch effect to the skin. To see visible effects you have to use more than one mask. Yes surely if you have wrinkles or have stared getting wrinkles. It is suggested to at least use 2-3 mask per week for a visual skin result. Leave your thoughts below in comments section.